Are you tired of clicking mechanic button? 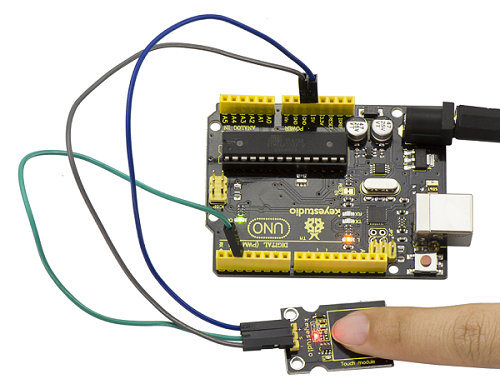 Well, try our capacitive touch sensor. You can find touch sensors mostly used on electronic device. 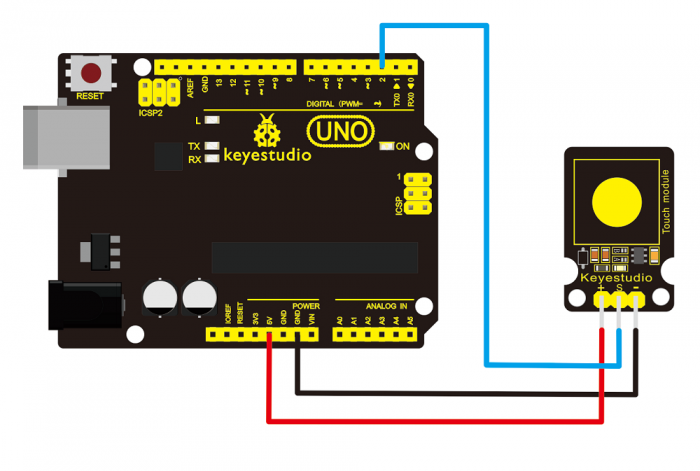 So upgrade your Arduino project with our new version touch sensor and make it cool!! 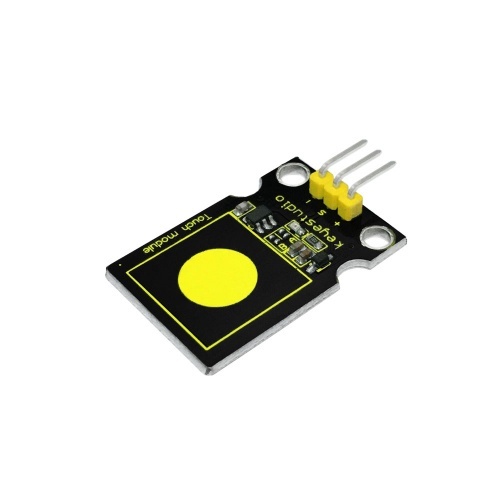 This little sensor can "feel" people and metal touch and feedback a high/low voltage level. Even isolated by some cloth and paper, it can still feel the touch. Its sensitivity decreases as isolation layer gets thicker. Done wiring and powered up, upload well the code, then touch the sensor with your finger, both D2 led on the sensor and D13 indicator on UNO board are on. Otherwise, those two indicators are turned off. This page was last edited on 19 April 2019, at 08:14.